Psychologists caution that it is a grave folly to believe anything objective can be learned about the human mind given that the object of observation is, by its nature, also the observer. NEW YORK—The field of psychology was brought to an immediate halt this week as disillusioned and weary practitioners of the discipline reportedly concluded that the mind could never possibly hope to study itself. 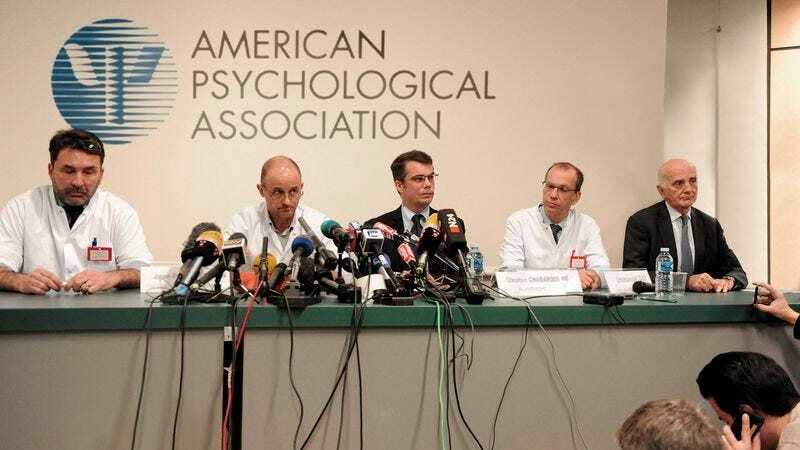 “All that we thought we understood was merely a mirage crafted by the very unfathomable minds we once so stubbornly insisted we could know,” added Kaslow, before declaring the APA, with its 134,000 members and 54 academic divisions, forever disbanded. In the wake of the development, sources confirmed that thousands of researchers at top academic institutions had resigned from their posts effective immediately and had been seen packing decades’ worth of academic journals—as well as seminal works such as Sigmund Freud’s The Interpretation Of Dreams, Jean Piaget’s The Psychology Of Intelligence, and Alfred Adler’s Understanding Human Nature—into boxes that will be placed in storage indefinitely or disposed of at nearby landfills. Over the past few days, researchers across the psychology spectrum have reportedly discontinued their experiments and returned their funding to its original sources, stating that further investigations had been rendered irrelevant by the completely unreliable and fatally subjective nature of the human mind. Reached for comment, many from the now-dissolved psychology community told reporters that they hoped to redirect their efforts toward other sciences such as physics, chemistry, and geology, fields they hoped would be untainted by the “inescapable enigma” of consciousness.